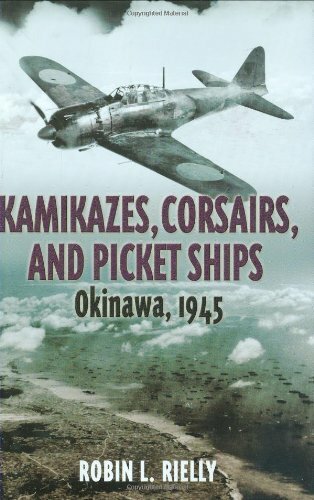 This is the previously untold story of one of the most ferocious and prolonged air/naval battles ever: the battle at the radar picket stations during the American assault on Okinawa in the spring of 1945. It weaves together the experiences of the ships and their crews, in a way that no one has attempted before. The US fleet and its accompanying airpower that took station off Okinawa was of gigantic proportions, such that the Japanese could only rely on suicide attacks to inflict critical damage. While losses in the main fleet, including damage to ships such as the Enterprise and Intrepid, have been well covered, less well known is the terrific battle waged on the radar picket line, the fleet’s outer defense against Japanese marauders. Of the 206 ships that served on radar picket duty, 29 percent were sunk or damaged by Japanese air attacks, making theirs the most hazardous naval surface duty in World War II. The great losses were largely due to the relentless nature of the kamikaze attacks, but also the improper use of support gunboats, failure to establish land-based radar at the earliest possible time, the assignment of ships ill-equipped for picket duty, and, as time went on, crew fatigue. The nature of the US air cover is also described in full, as squadrons dashed from their carriers and land bases to intercept the Japanese swarms, resulting in constant melees over the fleet. At times, US pilots “chased” enemy planes into walls of AA fire while often having to brave it themselves. Toward the end of the battle, the radar picket ships became the prime kamikaze targets as Japanese pilots despaired of getting through the “big blue blanket” of American fighter planes to reach larger prey. This work is based on primary sources, including ship and aircraft action reports, ship logs, and personal interviews. Robin L. Rielly has written an engrossing narrative of air/naval combat, combining firsthand action with astute tactical and strategic analysis. Robin L. Rielly specializes in WWII and Japanese history. 5. 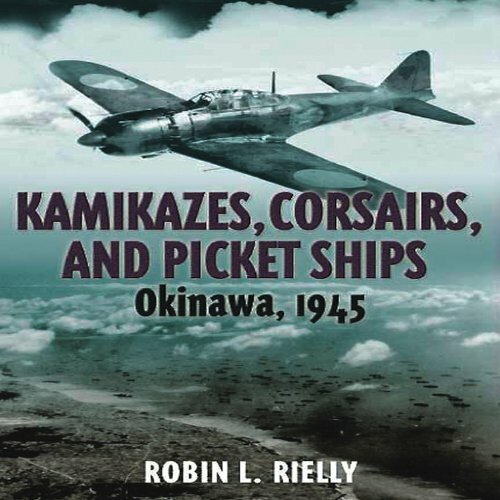 Kamikazes, Corsairs, and Picket Ships: Okinawa, 1945 Rielly, Robin L.